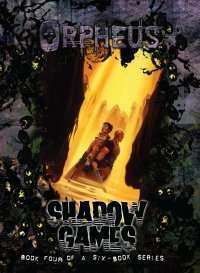 Shadow Games, the next episode in the evolving story of Orpheus, offers closure on one chapter and reveals a terrible new truth about the hereafter. In this third supplement, discover a new threat that plagues humanity and new allies in the form of Lazarus Redux -- Orpheus Group reborn. Also presented are Spectre artifacts and a dark secret that no spook should be without - how to use the destructive energies of Spite to fuel Horrors.